A project that started in Artist in Residence Joanne Silberner’s “Reporting Across Borders” class, turned into two stories that were published on the same day in the Seattle Times and on KUOW by recent journalism graduate Alisa Reznick (B.A., 2013). These attributes are what Silberner said allowed Reznick to report a story that few could have done – a story about faith healers, or curanderos as they are called in Mexico. 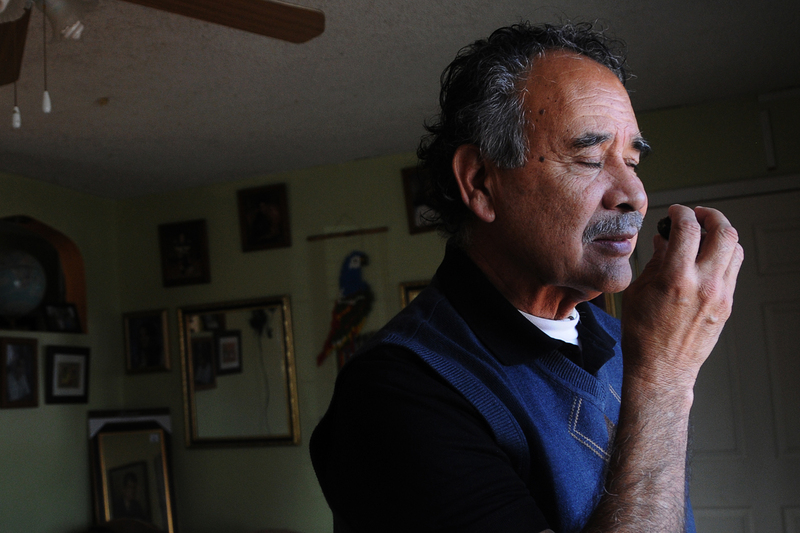 The first story originated after Reznick photographed Esther Davilla’s son-in-law, Jose Ortiz, at a May Day labor march in Seattle. She started travelling to Skagit Valley and learned about Davilla’s healing work through Ortiz and other family members. Reznick found the second story, out of Wenatchee, after discovering a course at the UW that is offered to medical students about traditional Mexican healing. 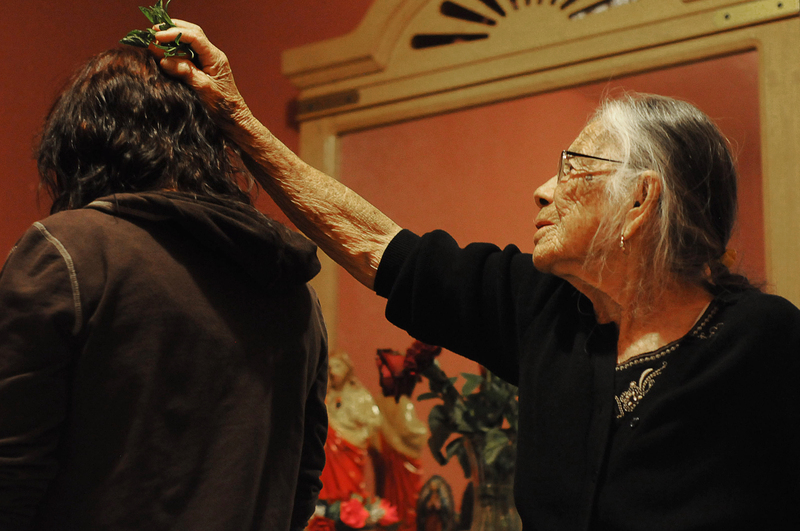 She was put in contact with Jorge Chacon, an active curandero for the past 40 years. Reznick thinks the differences may be a result of changes between first, second, and third generations of immigrants, and what does and doesn’t get left behind. Although her main challenge was access and building trust with the community members, Reznick was surprised how open her sources were to being written about. 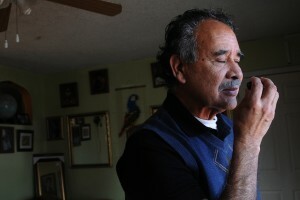 A photo of Jorge Chacon by Alisa Reznick. Originally interested in Skagit Valley’s migrant farmworker population, Reznick spent time at the community’s Saturday food bank. She also drove to see Jorge Chacon at his home instead of doing a phone interview to fully understand his story. Silberner was able to connect Reznick with KUOW’s Jim Gates to help her produce her first radio story. The Seattle Times’ Jim Simon, who co-taught the “Reporting Across Borders” class with Silberner, asked Reznick to write a separate version and the two pieces were published as a coordinated package. Currently working as a book researcher for an author in New York City, Reznick also freelances written and photographic work in the greater Seattle area. The KUOW piece has opened her eyes to the possibility of radio, and she would love to return to the Middle East to further explore the world of journalism (Reznick was a foreign intrigue student in Jordan last summer). Read the full story in the Seattle Times here, and listen on KUOW.